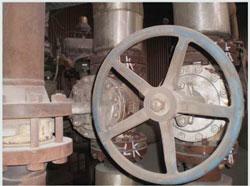 use through-valve loss detection system. if not millions of dollars. Simple Operation. A green light shows a "no leak" and a yellow LED bar graph shows a leak range of "small" to "very large". 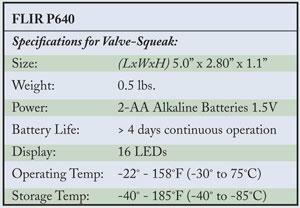 Once a leak is identified, your VPAC™ unit can be used for quantification. 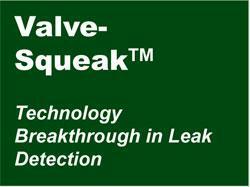 Valve-Squeak has high noise and vibration immunity and is Intrinsically Safe for use in hazardous, gaseous environments that require Class I, Div 1, IIC, T4 (currently only meeting US certifications). 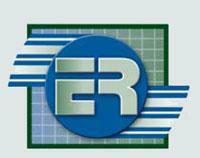 • VPAC operators are still needed to quantify/measure CFM or GPM.